Northern Territories Day in Japan is observed on February 7 each year. It was first observed in 1981. This day is related to the Northern Territories dispute, also known as the Kuril Islands dispute, between Japan and Russia. On February 7, 1855 the Empire of Japan and the Russian Empire signed the Treaty of Commerce and Navigation, also known as the Treaty of Shimoda. According to the treaty, the border between the two empires was drawn between the islands of Etorofu and Uruppu. The islands south the border were Japanese, and the islands north the line were Russian. 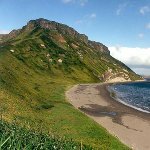 However, during World War II the USSR invaded the Kurile Islands. When the Soviet Union was dissolved, the archipelago remained with Russia. Russia claims that its sovereignty over the islands was recognized by the post-war agreements, while Japan disputes the claim. The disputed islands are Iturup, Kunashir, Shikotan, and Habomai. Japan refers to them as the Northern Territories. Northern Territories Day in Japan is aimed at raising awareness about the territorial dispute. This observance is notorious for demonstrations held by far-right political organizations that complicate Russian-Japanese relations.